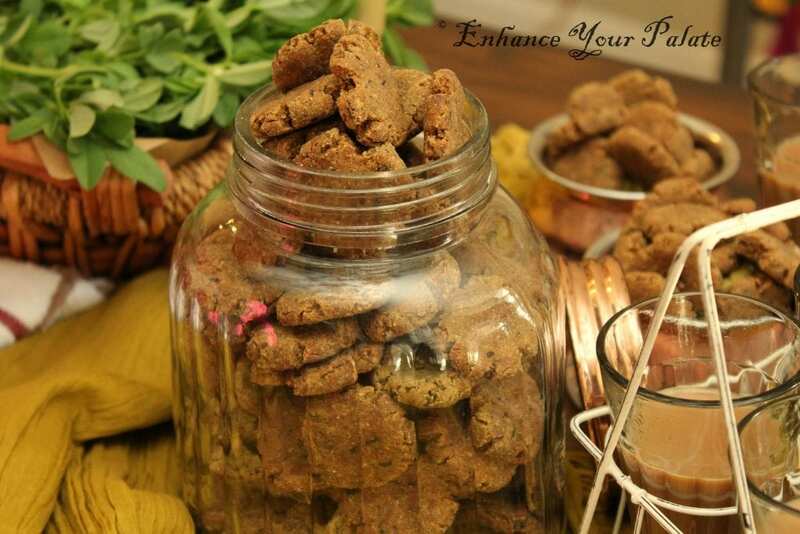 Multigrain Methi Baked Mathri (Fenugreek Savory Crackers) is an enhanced and healthy version of the traditional Indian savory crackers called Mathri, which is made of just refined flour and deep fried. 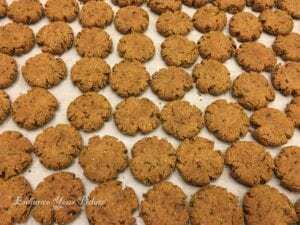 Multigrain Methi Baked Mathri (Fenugreek Savory Crackers) recipe uses flours made from seven different healthy, nutritious grains namely wheat, chickpeas, pearl millet, finger millet, sorghum, amaranth and almond. Together these grains make this recipe high in dietary fiber, proteins and other nutrients. 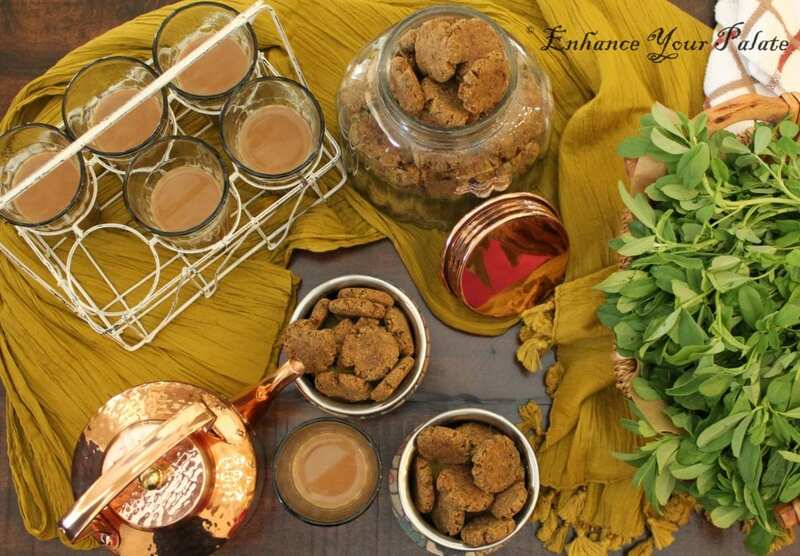 Addition of fenugreek (methi) gives the crackers a unique flavor and brings other health benefits such as lowering blood cholesterol and reduced risk of heart disease. Baking is used as a method of cooking to avoid deep frying, however some clarified butter is needed to make these crackers soft. Enjoy it this winter with your favorite hot beverage. NOTE: You may also add other flours such as oats and quinoa flour. Similarly, if you do not have any particular flour other than wheat, you may skip that. Above quantity of ingredients will yield about 15 servings of 4 to 5 crackers. Mix all the dry ingredients first and then chopped methi leaves. Now add ghee to your flour mixture and mix. Mixture should be very crumbly at this point. Since, I was baking them I didn’t compromise with the amount of ghee (fat/mowen). Now start adding milk little by little making sure your dough needs to be really stiff. Knead the dough for 10-15 minutes and keep it aside for 30 minutes. Resting is necessary to develop the gluten in the dough. Divide the dough into small balls and then press them between the palms and arrange them on baking sheet lined with parchment paper. Preheat oven at 375degreeF and place the baking sheet in the oven. Bake for 12 minutes on first side, and then flip and bake for another 10 minutes. Time will vary with the thickness of the mathri. So keep an eye on them. Once little brown from both sides take them out and let them cool down. They would get crunchy after getting cold only. Taste a few and transfer the rest to an airtight container for storage. 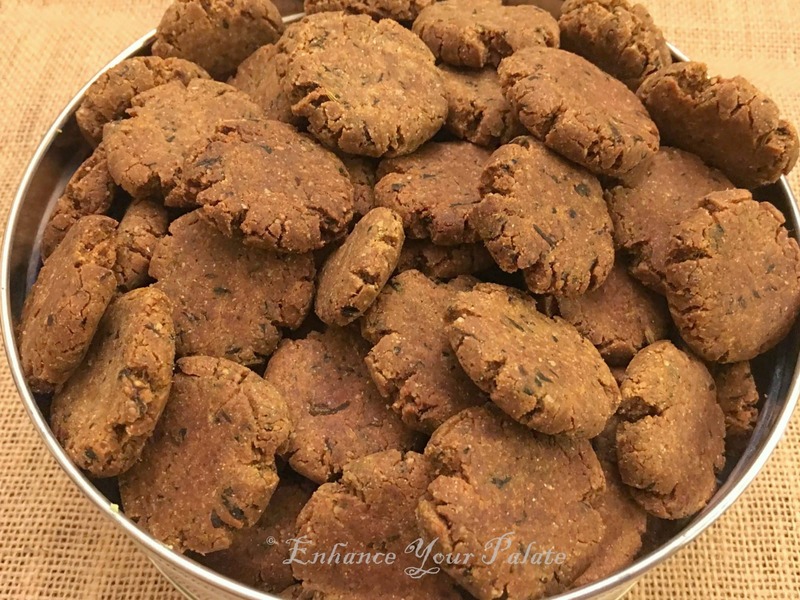 Multigrain Methi Baked Mathri (Fenugreek Savory Crackers) is an enhanced and healthy version of the traditional Indian savory crackers called Mathri, which is made of just refined flour and deep fried. 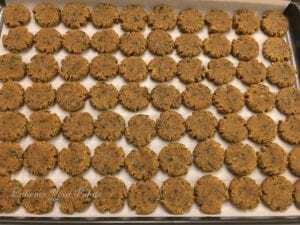 Multigrain Methi Baked Mathri (Fenugreek Savory Crackers) recipe uses flours made from seven different healthy, nutritious grains namely wheat, chickpeas, pearl millet, finger millet, sorghum, amaranth and almond. Enjoy it this winter with your favorite hot beverage. Mix all the dry ingredients first and then chopped methi leaves. Now add ghee to your flour mixture and mix. Mixture should be very crumbly at this point. Since, I was baking them I didn’t compromise with the amount of ghee (fats/Mowen). Now start adding milk little by little making sure your dough needs to be really stiff. Knead the dough for 10-15 minutes and keep it aside for 30 minutes. Resting is very important in order to develop the gluten in the dough. Preheat oven at 375oF and place the baking sheet in the oven. Bake for 12 minutes on first side then flip all of mathris and bake for another 10 minutes. Time will vary with the thickness of the mathri. So keep an eye on them. Once little brown from both sides take them out and let them cool down. They would get crunchy after getting cold only. NOTE: You may also add other flours such as oats and quinoa flour. Similarly, if you do not have any particular flour other than wheat, you may skip that. Above quantity of ingredients will yield about 15 servings of 4 to 5 crackers. Thanks for this healthy recipe . If we do not find a particular flour how do we just omit it or compensate it with any other available ? Hello Bhavana, thanks for liking it?. If you want to skip any of the flour you can compensate the quantity of that flour by increasing the quantity of other flours accordingly, but for almond flour I would suggest you to add one tbs of ghee as well since it’s rich in fat and contributes towards the total fat content of the recipe. Hello Sarika, yes you can use dry methi leaves as well. 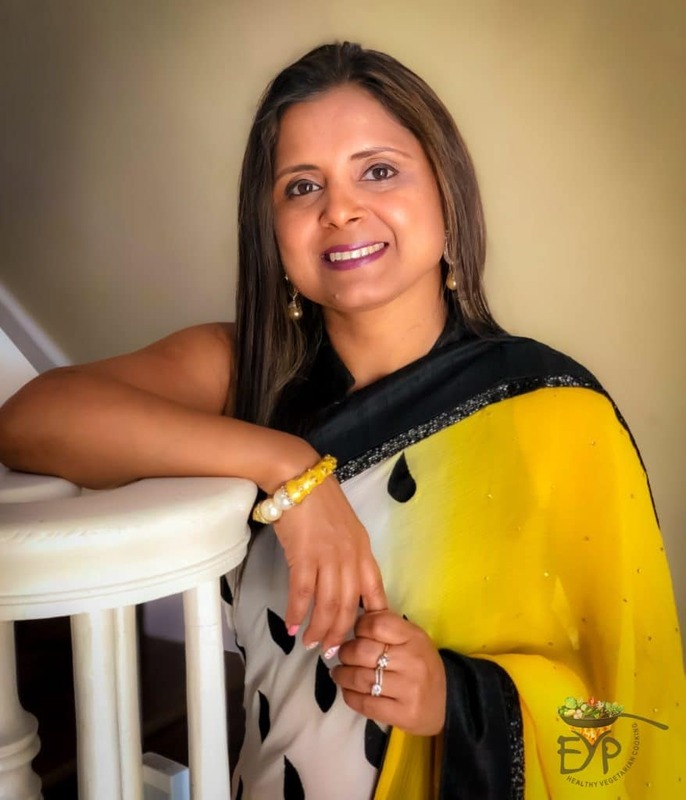 Can I use kasoori methi instead of Fresh Methi? Gauri, yes you can use kasoori Methi as well. I made these and they turned out absolutely fantastic. Thanks for the detailed recipe! Hello Aarti, thank you for so much for trying this recipe? I am glad that the recipe worked out for you. Love you for leaving this comment? Thanks once again, if you happen to try any other recipe would love to know your feedback. Thank you so much for the detailed recipe. I made this & it turned out very nice & tasty. The baked version is much healthy. I just made few changes instead of Methi, I added chopped Palak & coriander & also 1tbsp suji instead of Almond flour. I love trying your recipes they are very good. Thank you Anoli for trying the recipe. I am so glad that it worked out for you. My main goal is to provide healthy versions of old authentic recipes? Can I knead dough on one day and make Mathi next day? 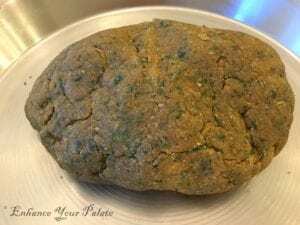 Hey Aish, if you are using fresh methi leaves, tt would be better if you make it the same day or after 30 minutes of resting time because methi tends to release water over time which will make your dough soft. However, if you are using dry methi like kasuuri methi, then you could possibly do it the next day because leaves are already dried. Thanks Gunjan for trying the recipe, I am so happy to hear the outcome. Thank you Rupali for this awesome recipe! I’m always trying to incorporate multiple grains and less oil this was just the match made in heaven. Taste so good, esp with some chai. Crunchy, yet soft. I was surprised for the flavors being so distinct, for being baked. Can replace this for deep frying any day. The fresh methi adds a great flavor to it. Thank you so much Lakshmi first for trying the recipe and second for such a positive feedback. 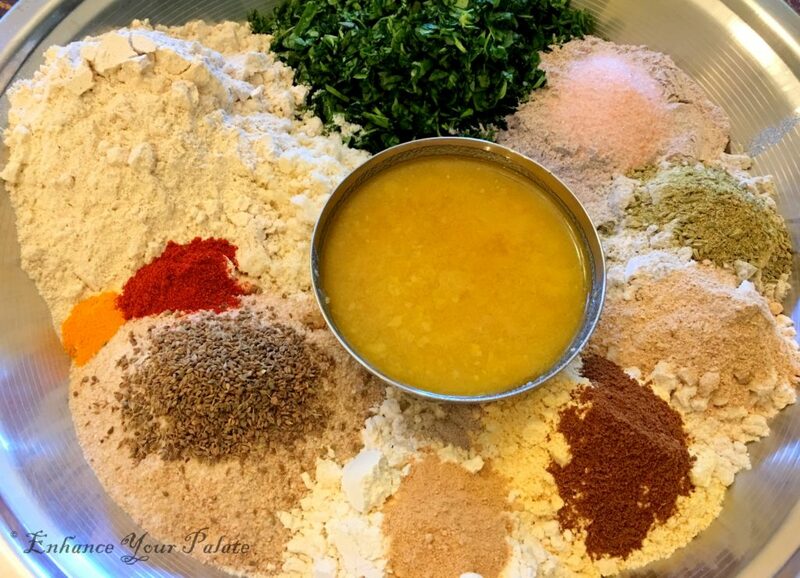 You are very right that fresh methi and mix of different flours add so much flavor in the Mathris, these are now a regular snack item I have available in my pantry. Hello Radhika, they stay good for month easily in airtight container. Hello Soujanya, you can sub Suji if you don’t have coarse wheat flour to add texture and for almond flour you need increase the amount of ghee, since almond flour is rich in fats adds fat in the dough. Thank you for your interest in the recipe. Look forward to hear back your experience. Hi Rupali! The recipe looks so interesting and yummy. 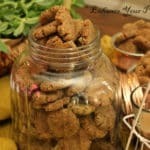 What can I substitute for whole coarse wheat flour and almond flour? I don’t have both of them right now and also my son is allergic to tree nuts. Hi! What flour can I use instead of wheat? Also would skipping milk make much difference? I would like to make these gluten and dairy free. Thanks! To make these GF you can sub GF baking flour and yes you can use water instead of milk and sub your choice of oil for ghee. I tried it today and it came out really good. 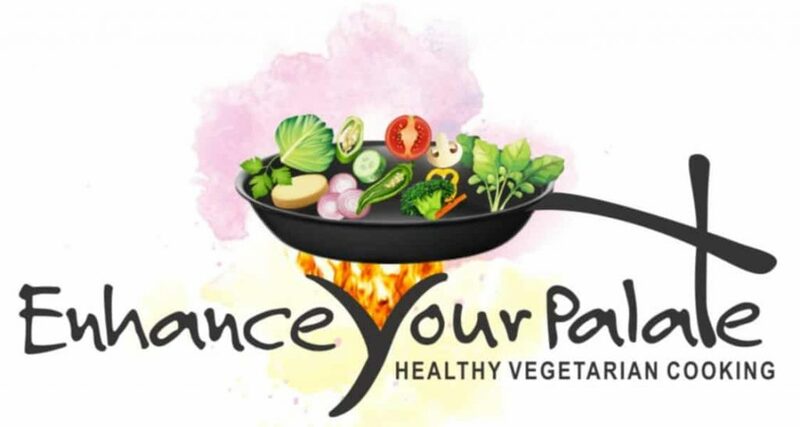 Thank you for sharing healthy recipes! Thank you Kusum!!! So happy that you liked the recipe. Thank you once again for leaving your feedback ? Loved it. Today I m gonna try it. I don’t have Bajra , ragi and Rajgira. If I make the matharis without these flours, will it still taste good? Hello Deepti, yes you can make these Mathris without those flours as well. Taste is definitely going to be different but would taste good. Saw your site, went through the recipes, loved them! Loved even more that I can order with you.? Question though: where are you located? Am I able to pick up directly from you instead of shipping? Are you able to make some changes to the recipes due to allergies, diet restrictions, etc.? Please mail your contact info if the answers are yes. Would like to talk to you before placing order. Thanks! Thank you for checking out my blog. I am so glad that you loved it. Yes, I can customize as per your needs for I am based out of Louisiana. Email is a best option to reach out to me.